Pet store owner arrested in python deaths of 2 New Brunswick boys. Connor, 6, and Noah Barthe, 4, were strangled while they slept by an African rock python. The owner of Reptile Ocean pet store has been arrested in Quebec in connection with the python strangling of two brothers in Campbellton, N.B., in 2013. The arrest, made Thursday by New Brunswick RCMP, was confirmed by Cpl. Chantal Farrah. No charges have been laid, she said, adding the investigation is continuing. Typically, the longest someone can be held in custody before being charged or released is 24 hours. RCMP have not released the name of the individual arrested. Lawyer Leslie Matchim confirmed the man arrested in the Montreal area is his client, Jean-Claude Savoie, the owner of the pet store. "I've been authorized to confirm that it was in fact Jean-Claude Savoie who was arrested today," said Matchim, after his client called him. "Quite honestly, I can't say [the arrest] came as a surprise. Certainly for me, the surprise came when the RCMP, quite some time ago, seemed to be recoiling from their official position with me that no charges would be forthcoming. "After they sort of recanted that position and announced that in fact the investigation was ongoing, then … I can't say that I’m surprised that we're at the point we're at today." Savoie is being held in police custody, said Matchim. "All things considered, he seems to be doing all right," he said. Connor Barthe, 6, and his brother Noah, 4, were killed on Aug. 5, 2013, by an African rock python that escaped from its cage in the pet store located in the same building where the boys were sleeping. Reptile Ocean was an unlicensed zoo and pet store, New Brunswick Department of Natural Resources officials have said. Savoie was the subject of a criminal investigation, and the RCMP turned the file over to Crown prosecutors in July. At that time, Savoie's lawyer said he had been told by police "quite formally and officially" that his client would not be charged criminally. 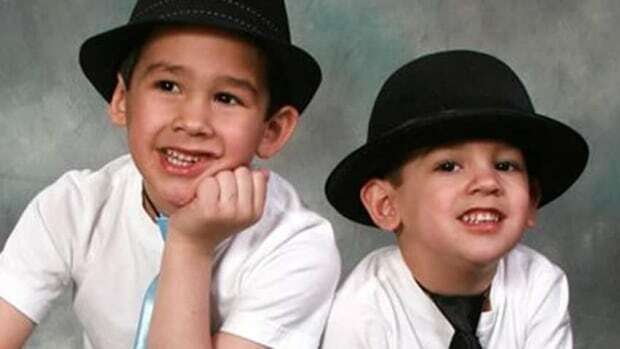 But New Brunswick RCMP said the investigation has been ongoing since the Barthe boys died. "Now, the investigation has furthered and has brought us to the point where an arrest was made today, so this person is now in police custody, but the investigation is ongoing," Farrah said. "If at some point charges are laid, then more information will be available to you," she added. Savoie's lawyer said it's too early to speculate whether his client will be charged, or what those charges might be. But the RCMP would not be involved in any investigation pertaining to the legality of the zoo, said Matchim. That would fall under provincial jurisdiction, he said. "The Department of Natural Resources did oversee an investigation in that respect, and they have decided not to proceed with charges," said Matchim, adding there would be a six-month limitation period on any such charges. "So I don’t think there's any doubt as to what is being investigated today," he said. If Savoie is charged in the deaths of the boys, he would be required to return to New Brunswick to face those charges, said Matchim. A report from a task force, struck by the New Brunswick Department of Natural Resources to review the province’s exotic animal laws and regulations and recommend changes to prevent future tragedies, is expected in March.